27x14x2.5mm. Rhinestone settings are about 1mm. Vintage. New old stock. 27x14x2.5mm. 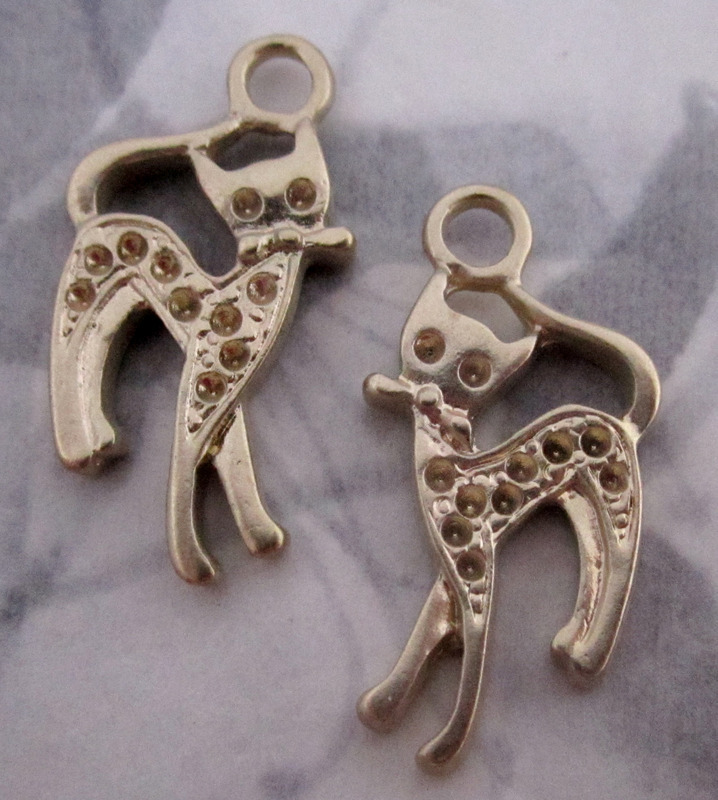 Vintage gold tone two sided cat charms. Rhinestone settings are about 1mm, rhinestones not included. New old stock.